YesOption was founded in 2012, and it was the first company that offered Binary Options together with Forex to be used from one platform. This broker offers solid returns for trading Binary Options and there are attractive spreads for trading Forex. Setting up an account with YesOption is simple, not different than setting up any account anywhere. Their main page for trading is simple and you won’t need experience to know how to navigate around. It is easy to see what currency pairs are possible to trade, where to click to set the amount of investing and what do you want to invest in. There is also a nicely displayed graph which tells about how currencies perform per day. You can choose from three possible accounts to use at YesOption, which are not distributed according to the level of deposit and unlocked features, but according to the level of return. Those three are Standard account, Gold and the Platinum account. As by the time of writing this review, there was no mention of demo account. The holders of the standard account have all access to every trading facility, including assets, trading tools, instruments, and free access to customer support service. Also, there is a free course with a personal analyst. Something strange is offered here, and that is (only) one withdrawal for free. It’s not clear whether other withdrawals would be charged. Gold account holders have unlimited access to everything the standard account holders can have, however, they get an additional two percent return for every winning trade. 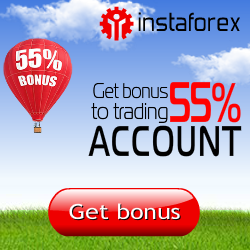 They have a free withdrawal each month and two personal sessions each month with an analyst from YesOption. As for the platinum users, they have unlimited access to everything the lower two account holders have, but with an additional four percent return for each winning trade. However, they have unlimited number of free withdrawals as well as sessions with personal coach every month. All of the accounts at YesOption are not charged any commission, and all get free signals from top providers for the first two weeks. I am not sure what additional fees are charged for the continuance of receiving the signals. The minimum investment is $25 for an option while the maximum is$2500. The maximum single short-term option is $1000, and those are 1 minute, 2, and five minutes. On the YesOption’s landing page is a mute video showing the process of trading. The process shown is quite clear, even though it might seem confusing at first as there is no sound. But if you repeat the video knowing that there is no sound, you’ll see that it can be understood. YesOption’s educational section is rich with videos that can help beginners, but can also be useful to advanced users too. Traders can get to use Fibonacci calculator, a calculator for Forex and Binary options, as well as a calculator for Deal Size for Forex. Users are given daily financial news and analysis, and there is an economic calendar through which users can get reports and economical data. Traders have a Heat Map for which helps them see the strength of a currency pair’s or an assets trend. The Heat map at YesOption is simple to use as it basically lists currency pairs that are being traded the most. Without clicking anything, traders get to see the most traded currency pairs. 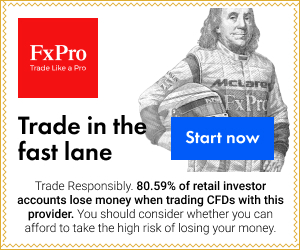 The lack of a demo account is to some extent caught up with a part of educational section also offers an interactive training eBook where a trader can get to execute binary options deals, as well at the Forex, and using the YesPlatform. Withdrawing funds is possible with credit cards, debit cards, Skrill, CashU, Neteller or wire transfer. Depositing money has limits, as there is $8500 per day, $59000 per week and $255000 per month. Before withdrawing there is a form online that needs to be filled out. As YesOption figured out, the safest way is to get the money towards the source of depositing. For getting bonuses at YesOption users need to first contact their manager. There are no details given about what the bonus is and how is it obtainable. There were some mentions of winning awards such are cool gadgets. Registration will open more details. As for free signals for every account user for the first two weeks, those can be obtained via SMS or email, besides being viewable from the homepage after logging in. there are 6 signals sent each day. Usually those are for 1 hour and half an hour of options for high/low for the most liquid assets. Traders can contact a YesOption representative at any time via live chat, email or telephone to the UK. They have provided a number of local telephone numbers from around the world to ensure that all questions are dealt with in a language that is understandable and in a time zone that is relevant to the caller. The website is only available in English, Russian, German and Arabic. Overall, the lack of a demo account is hardly replaced by an educational interactive eBook, and that’s a major flaw. Also the lack of clearer insight into what bonuses are might be a decider. However, referral program without limits to the number of friends and a clear and easy to navigate page is a thumbs up.